Whether you work from home or just want a dedicated base for your computer, choosing the best executive desk can be a minefield. Furniture has never been cheaper but often costs comes at the expense of lifespan. As with any aspect of your home or garden, you’re always better off investing in something that will last the test of time even if it costs a little more. With today’s executive desk reviews, we’ll highlight a cross-section of styles and functionality so you can choose something suitable for your office or living room. First up in our executive desk reviews comes from Sauder, a company with a hard-won reputation for producing sustainable furniture that comes in on budget without compromising design or build. We’re not here to sell you on the virtues of engineered wood. If you’d sooner have the real deal, this is not the desk for you. If, on the other hand, you want the wooden aesthetic without the environmental footprint, this neatly finished desk is tailor-made. Storage should be enough for even a moderately busy home business with ample room for files, folders, and hanging files. Measuring up at a substantial 65 x 29 ½ x 29 inches, if you’ve got space to house it, the Sauder Executive Desk will help you work in a minimalist environment with all that messy paperwork out of sight but close to hand. Next up in our executive desk reviews is a modern and minimalist computer and writing combo with a generous set of integrated shelving from TANGKULA. 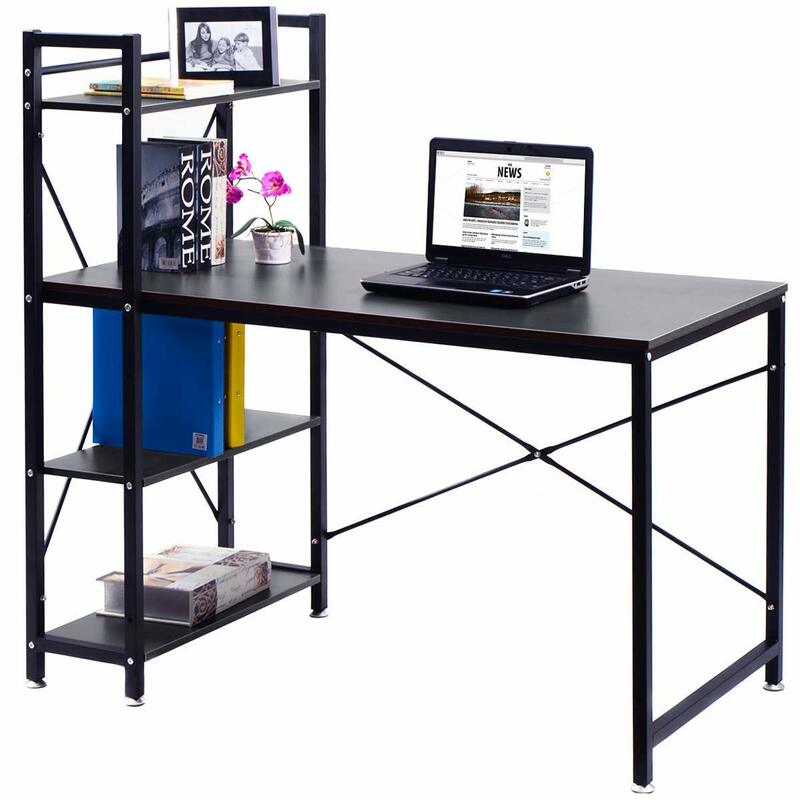 While many desks have little to distinguish themselves from the competition, this stands apart for its space-saving design giving you all the space you need while still being small enough to slot into a makeshift home office in a spare bedroom. Construction is rock-solid and you’ll get a great deal of use from this desk without needing to spend a fortune. 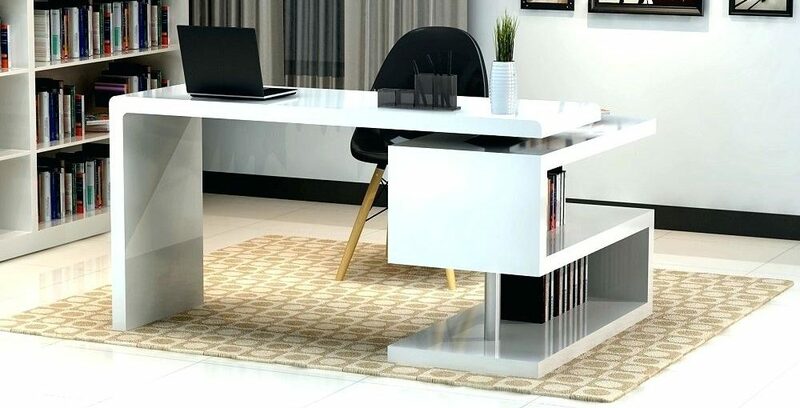 As long as you don’t mind having your paperwork exposed on the shelves rather than tucked away in drawers, and you’re happy with the stark design, this executive desk is ideal even if you’ve got a small, cramped office. As we hit the midway point in our executive desk reviews, we’ve got a real bargain from SHW Vista that won’t let you down on the performance front. After all, who wants a cheap executive desk if it’s going to start peeling and coming apart a few months later? If you act quickly, this desk is currently up for grabs at an aggressive discount. 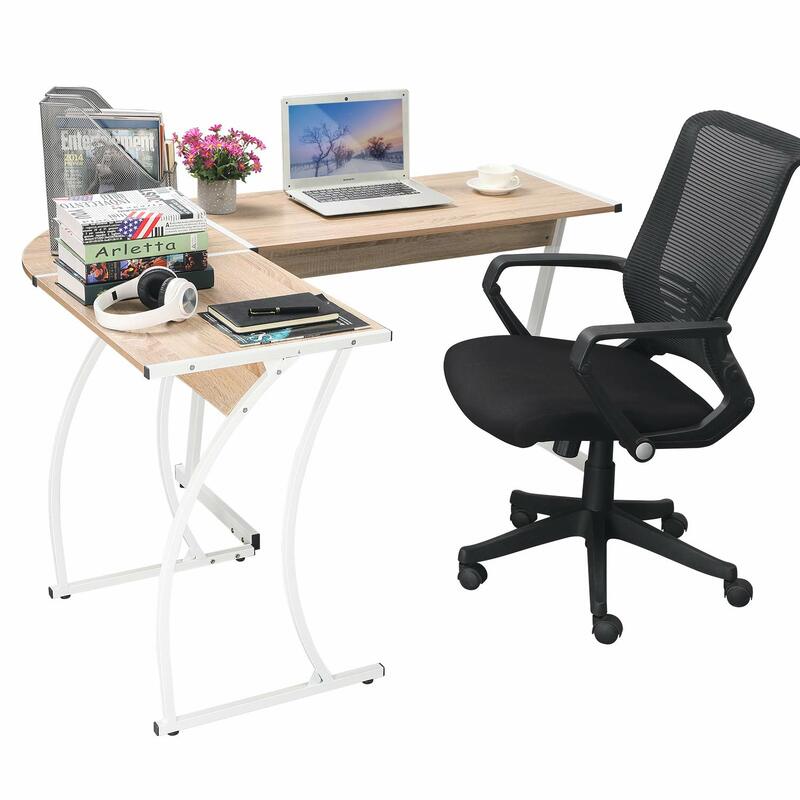 In return, you’ll get an understated chrome and tempered glass corner desk that gives you plenty of room to spread your work out but in a small enough unit to slot up against the wall. You’ll need to bear in mind there’s no storage whatsoever with this L-shaped desk. You’ll get an expansive work surface roomy enough for a desktop and laptop with space for a printer and all your paperwork. What you won’t get is any kind of drawers or shelving so make sure you’re OK with this. 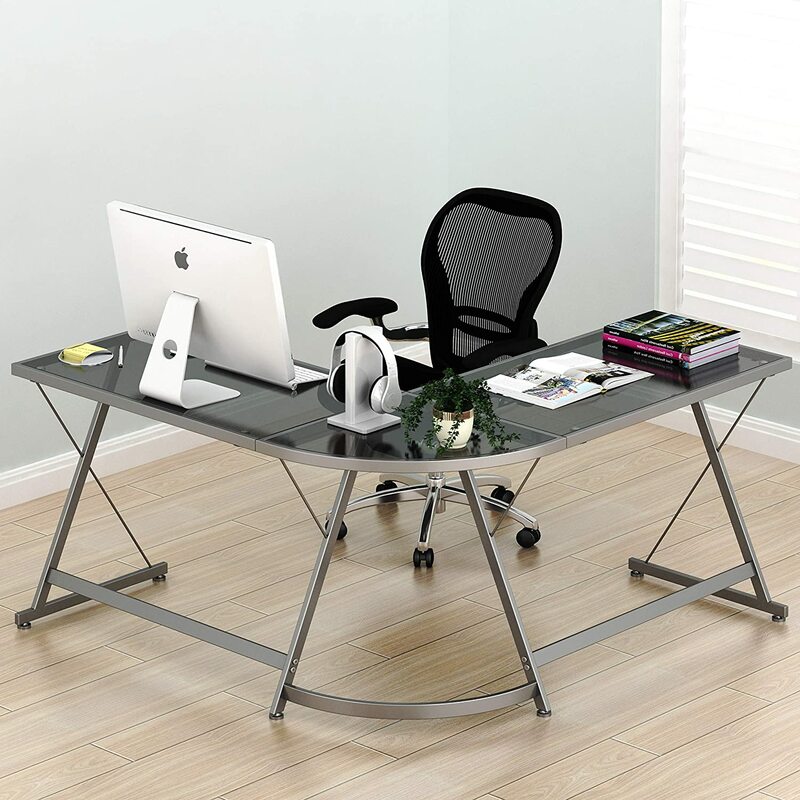 Edging to a close with our executive desk reviews, it’s time to roll out another L-shaped corner desk since we’re acutely aware many people have smaller offices at home and don’t want the biggest executive desk. If you’re looking for something traditional and classic, this is not the desk for you. 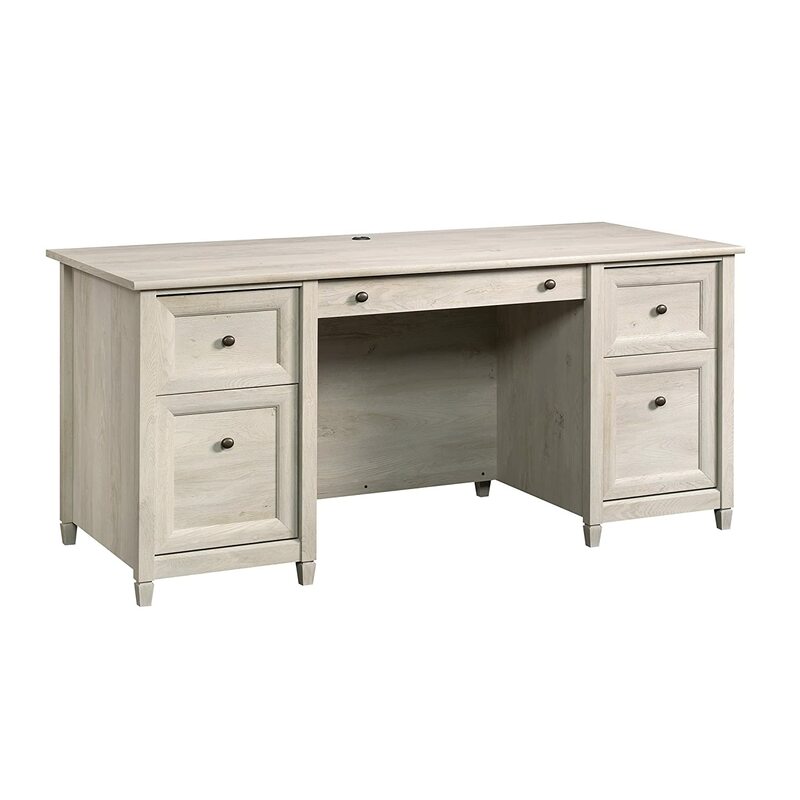 If, though, you want plenty of space for a couple laptops and more, in a pale melamine set against a robust white frame, this corner desk is just the ticket. 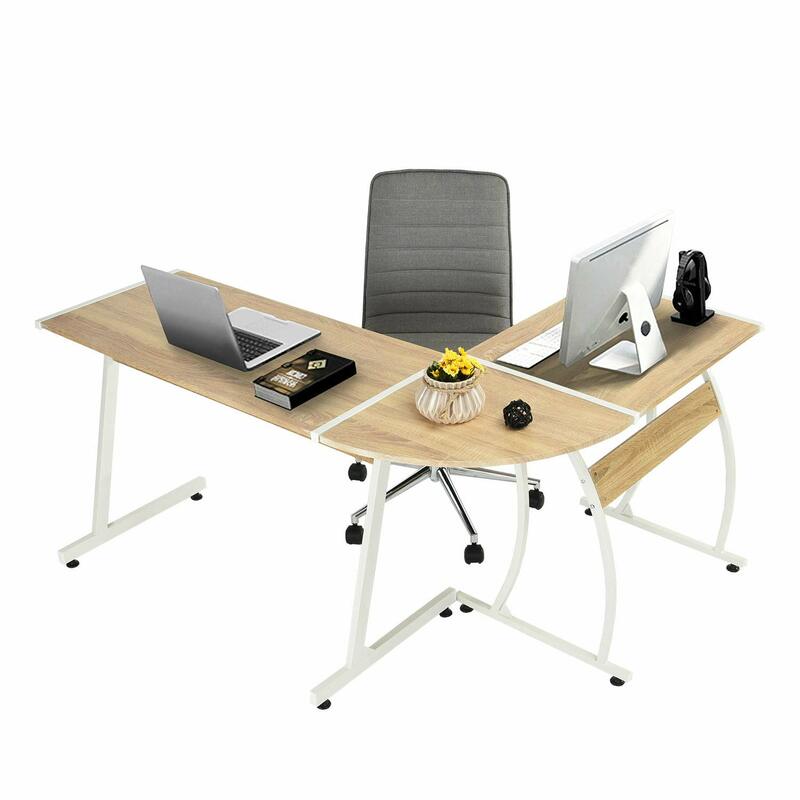 The nature of the design allows you to switch the pieces of the tables around so you can set your workspace just how you like it. For a cost-effective and practical executive desk available in multiple finishes, the GreenForest is a stealth option. 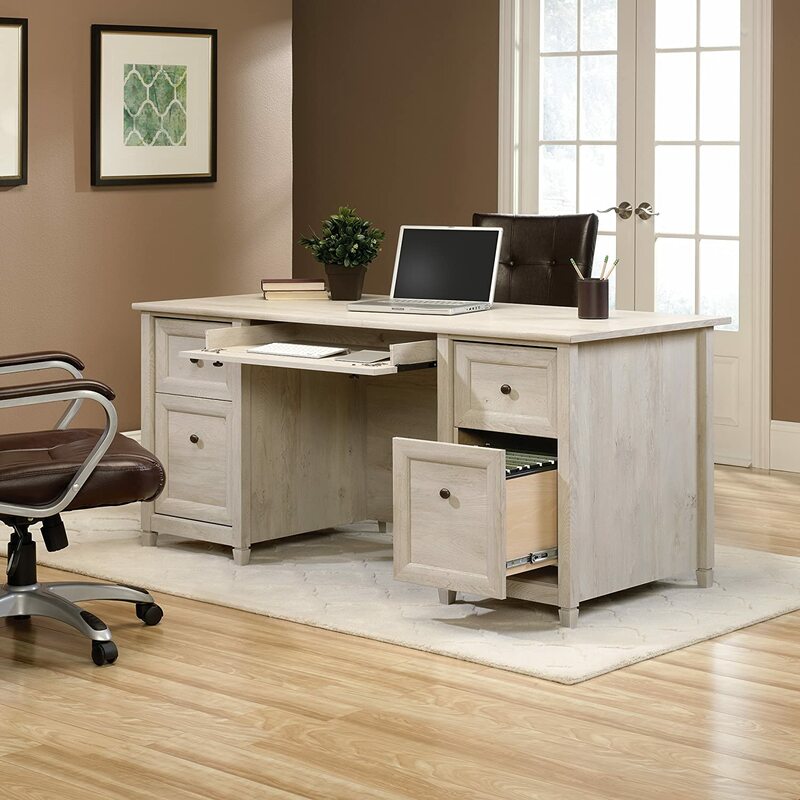 Last but absolutely not least in our executive desk reviews is the Signature Design Office Desk from the ever-dependable Ashley Furniture. While this is not the cheapest desk at your disposal, it’s among the very best. If you prize quality above all else, this desk would make a fine addition to any office. You can opt for a size to suit and also choose whether or not you need drawers. 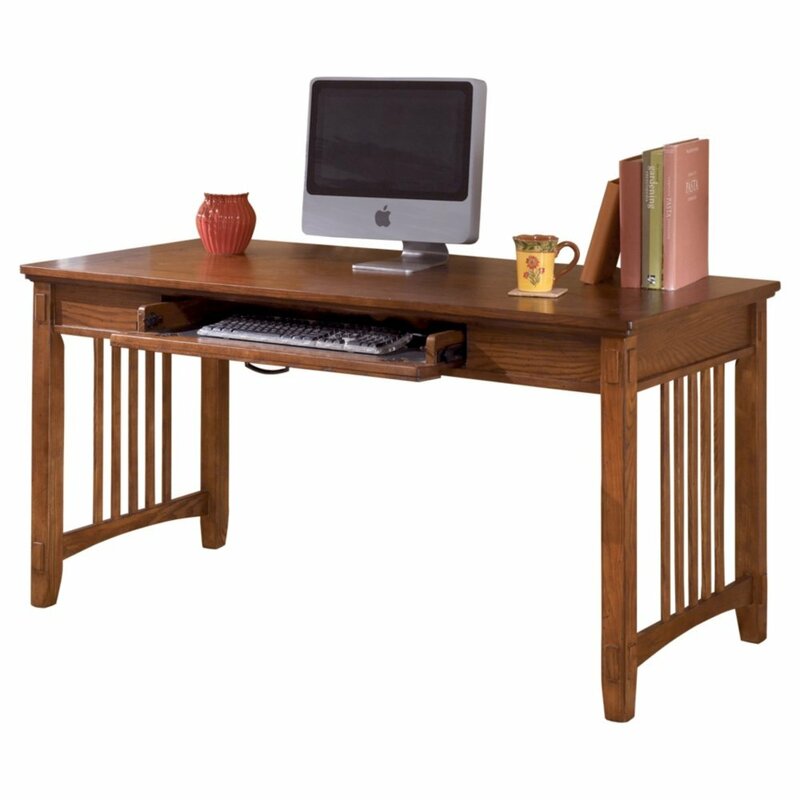 This desk gives you all the benefits of a vintage desk combined with strength and design through technology. This gets our vote for best executive desk overall. OK, our executive desk reviews are done so we’ll round out with some handy hints on finding a desk that meshes with your needs without too much time or effort. 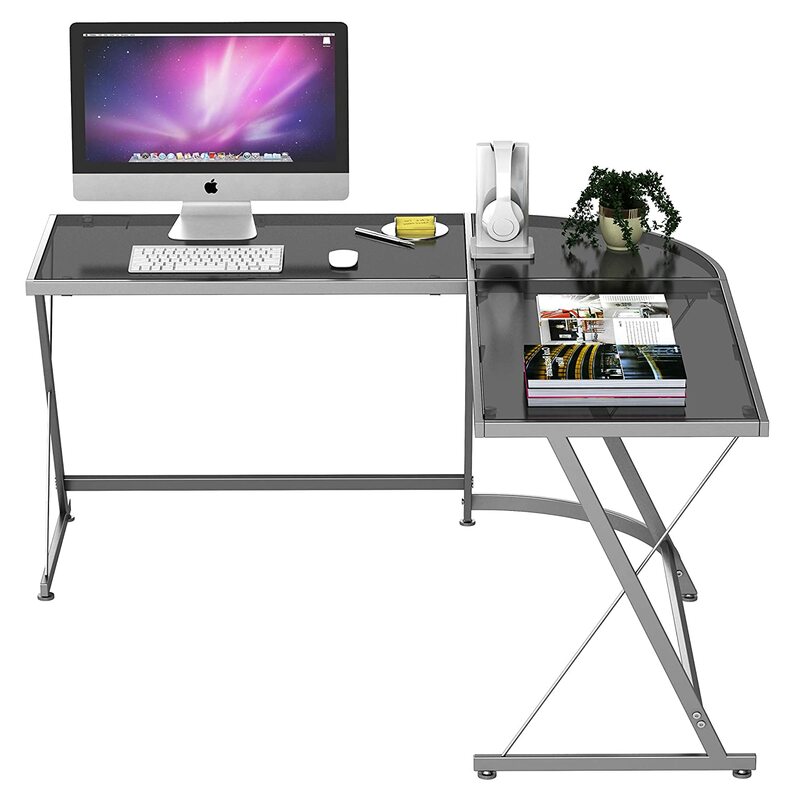 Getting the best executive desk is subjective and personal to a large extent. Nevertheless, there are a few broad areas you should consider to simplify your buying decision. Before focusing on the desk itself, think about what you want from it, and how you work. Do you have large volumes of paperwork you’d prefer kept away from sight? If so, shoot for a desk with plenty of drawers. With paperwork, what kind of folders, files and documents do you need to store? If you have to accommodate legal files or hanging files, there are plenty of desks to suit. If you use your desk principally to make phone calls and check your email, there’s no need to prioritize a huge working surface. Equally, if you run a thriving business from home, don’t get a desk giving you insufficient room for maneuver. Firstly, make sure the desk you have in mind will fit into your office. This might seem obvious but all too many people rush in without thinking about dimensions. You should also allow a clear 3 feet behind so you’ve got plenty of space to sit behind it. Desks vary enormously in terms of size so there’s no excuse to get one that feels made-to-measure. The basic rectangular desk is a classic that fits into most rooms. With more and more people working from home, often in limited space, corner desks with an L-shape make perfect sense. If real estate really is too tight to mention, you can even find hideaway desks to maximize space while still providing you with a place to work. There’s no right or wrong answer when it comes to the shape of an executive desk, simply what works for you. Another area where the solution is personalized concerns storage. Some people need multiple drawers, others prefer shelving, minimalists need nothing at all. If you use a desktop rather than a laptop, a pull-out keyboard tray gives you the optimal working position while also saving precious space. Think closely about your storage needs and you’ll be glad you took the time. As with most aspects of buying the best executive desk, materials are a personal choice. You should now have a sound idea of just how much choice you’ll have when it comes to executive desks. Any of the desks above will serve you will, and if none of them float your boat you now know exactly what to look out for to get the best executive desk fuss-free. Come back soon for more help with all aspects of your home and garden.